Metal posts are an essential element of cable, rod, and glass railing systems. StairSuppliesTM manufactures metal post from three materials: 304 Stainless Steel, 316 Stainless Steel, and Aluminum. Each material has a distinct look, so you’re sure to find one that suits your style. Popular in both interior and exterior designs, Brushed Stainless Steel is a premium finish for cable railing posts. From a distance, Brushed Stainless Steel shines with its bright, reflective surface. Up close, you can see that the brushed pattern has a smooth, consistent flow running vertically up the post. The even brushing makes Brushed Stainless Steel the optimal choice for customers seeking lustrous posts with a modern finish. While stainless steel and aluminum are vastly different when brushed, they are nearly indistinguishable when powder coated. Powder coating your posts leaves them with a smooth finish in the color of your choice. 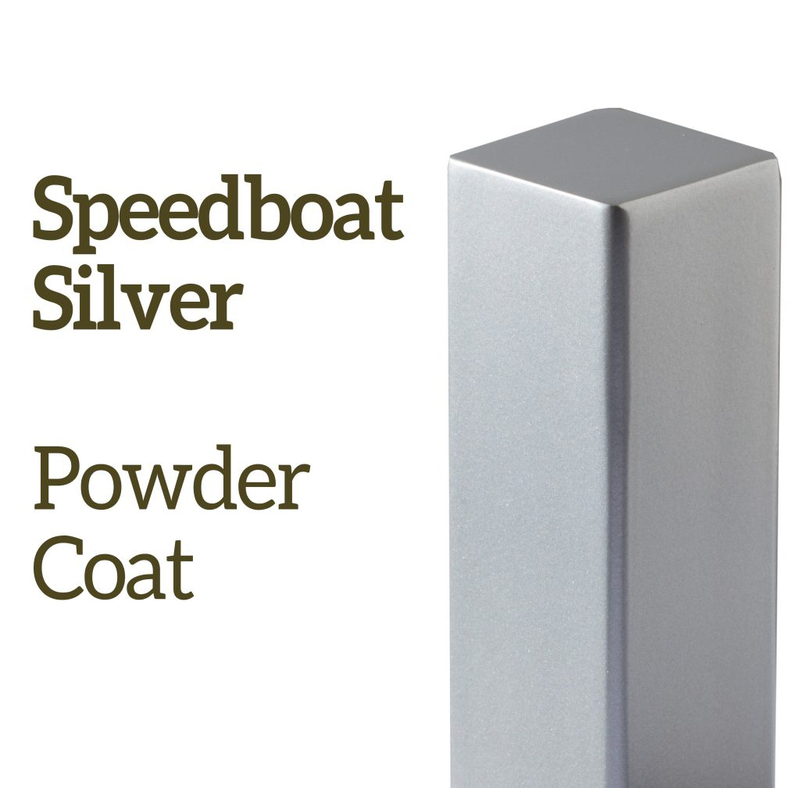 While some projects may require the additional strength of 304 or 316 stainless steel, powder coated aluminum posts are a suitable, cost effective option for most applications. StairSupplies offers more than a dozen powder coating options that will liven up your cable, rod, or glass railing system. Take a look at our color selection below so you can properly plan the railing system of your dreams!